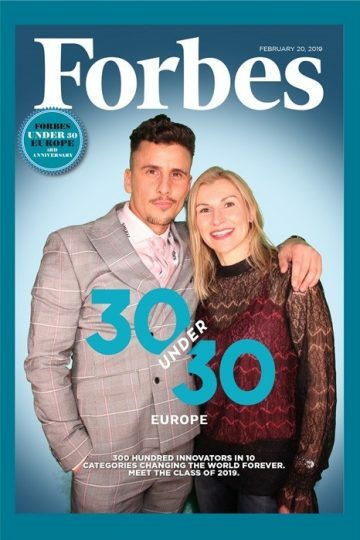 Europe's young stars of the future celebrated with Forbes in London after being selected for the prestigious Forbes 30 under 30 Europe list. Our clients Joseph Valente, founder of ImpraGas and Simon Crowther, founder of Flood Protection Solutions are both alumni of the Forbes 30 under 30 list. We were also delighted to see Julianne Ponan, founder of Creative Nature, who we've also worked with, make this year's list. This year’s list features 300 young disruptors across ten categories (art&culture, finance, media&marketing, science&healthcare, social entrepreneurs, sports&games, technology, retail&ecommerce, manufacturing&industry and entertainment), hailing from 34 European countries and 22 non-European countries. - a PhD candidate who is developing a technology that will reduce CO2 emissions at power and chemical plants.